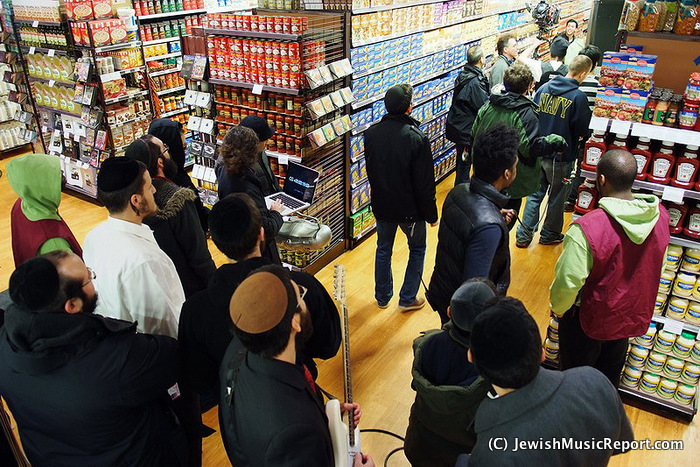 If you happened to be in the mega kosher supermarket Pomegranate this past Tuesday night, you were witness to an unprecedented scene. 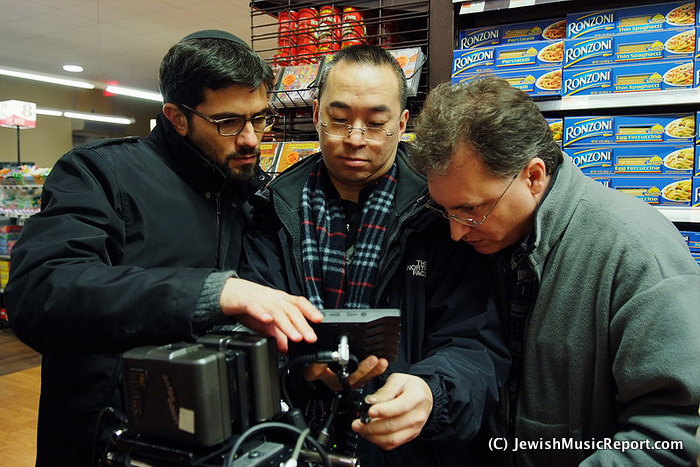 From 9:00 PM to 9:00 AM, a team of filmmakers descended on the store with sophisticated lights, cameras and equipment, the sort you would find on a Hollywood set. What was all the commotion about? 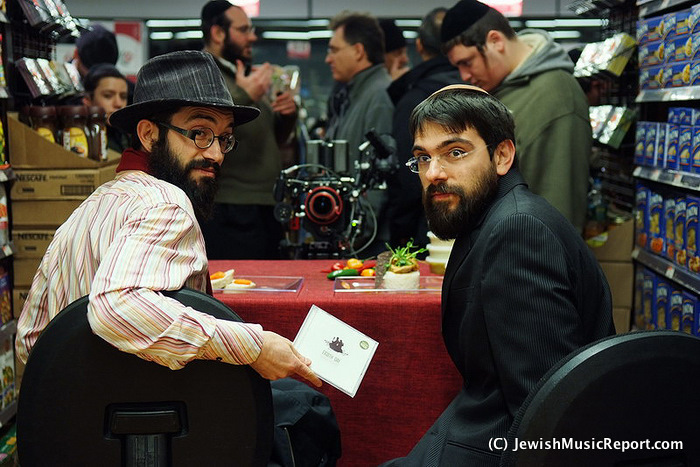 Brothers Shmuel and Bentzi Marcus, of 8th Day, were filming a soon to be released music video of their hit song “Ya’alili” off their brand-new album “Chasing Prophecy.” The fresh and unique sound of 8th Day has found a welcome audience among the Jewish music pros. 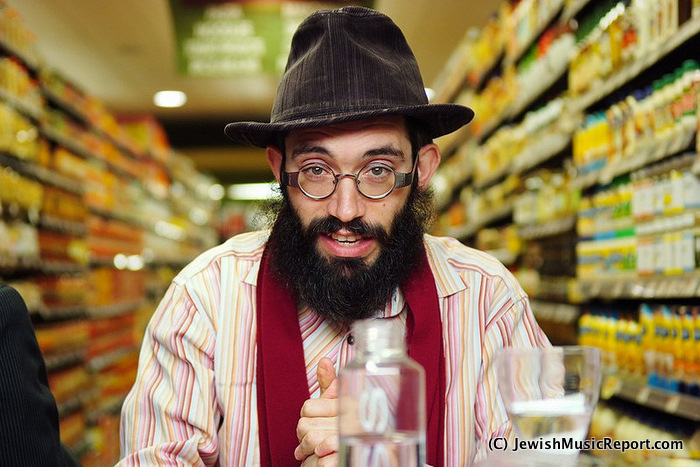 Stars like Lipa, Yossi Green and Shloime Gertner are enamored with 8th Day, yet the band isn’t satisfied. To that end, the brothers decided to create a music video that could cross over and appeal to a broader market. The creative process led to an idea that involved bringing joy to people’s lives. 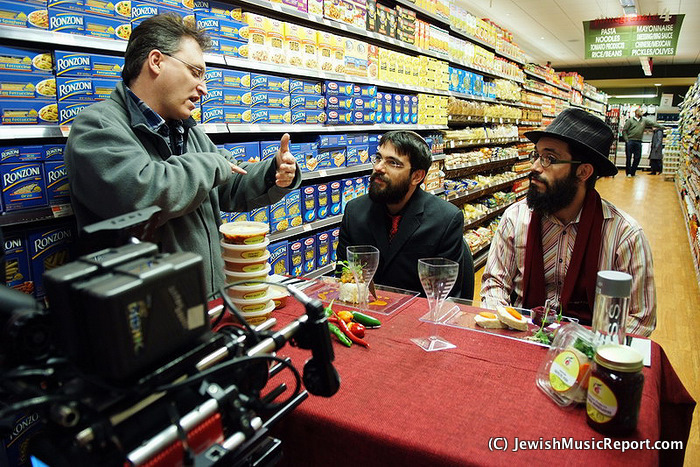 “I had an idea that I thought would be great for the song Ya’alili but we needed a very modern looking high-end kosher supermarket to shoot it in,” said Chaim Marcus, Ad Exec and producer. “From my first call with Pomegranate’s marketing director, Matis [Swerdloff], I knew they would be the perfect partner for this shoot,” said Marcus. Marcus recruited an A-list team including LA based director Larry Guterman, Director of Photography S. Franklin and VFX house Planet Blue. 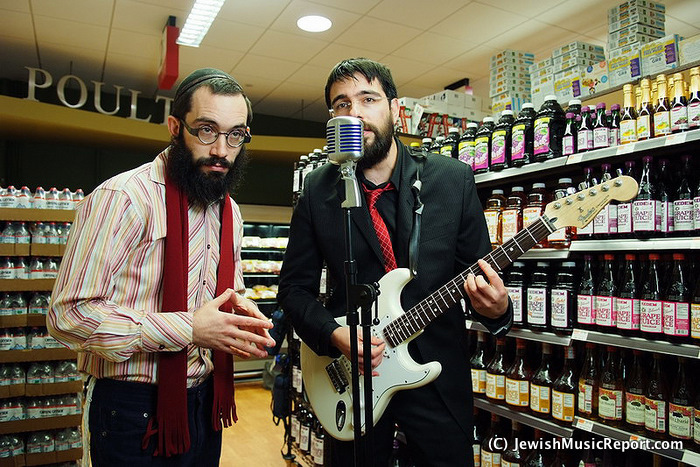 “It’s a really nice bonus when you have a brother who can produce a music video for you,” said lead singer Shmuel Marcus. “I highly recommend it for all bands,” he added with a smile. 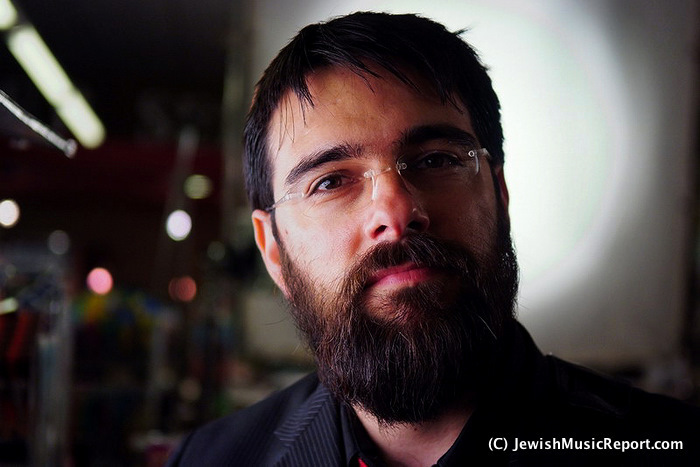 “We had a great time shooting the video and our hope is that our joy will translate on screen to the viewer, and ultimately enrich their lives with the simcha of the song,” added Bentzy Marcus. 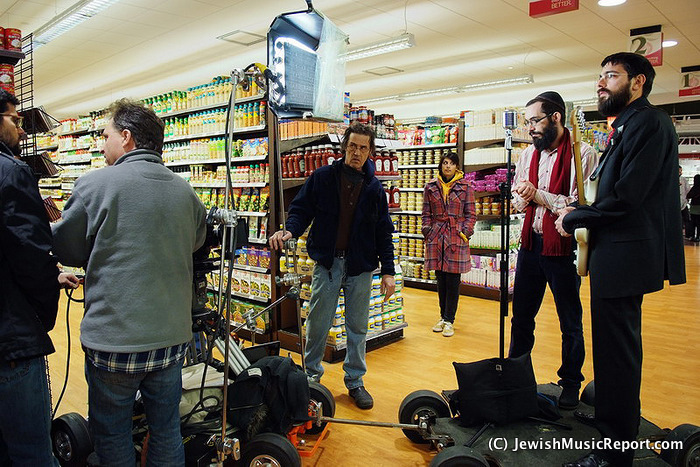 Shooting in a supermarket presented the band with a number of challenges, having to wait until the store closed which made it an all night shoot and dealing with the cold temperature that is standard in supermarkets. Despite the challenges the shoot went extremely well. 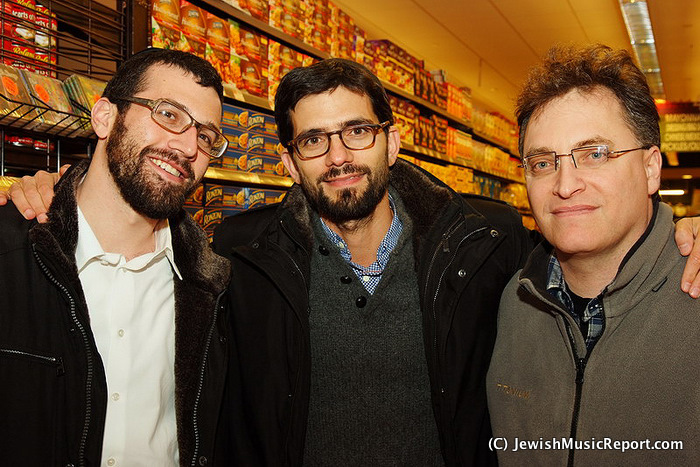 “I’d like to give a shout out and thank you to Pomegranate for being incredible to work with,” said Chaim Marcus. “As it turns out, Pomegranate is known as a supermarket but in reality they are a group of talented and passionate people who have established an incredible brand. There’s really no limit to what they can do. 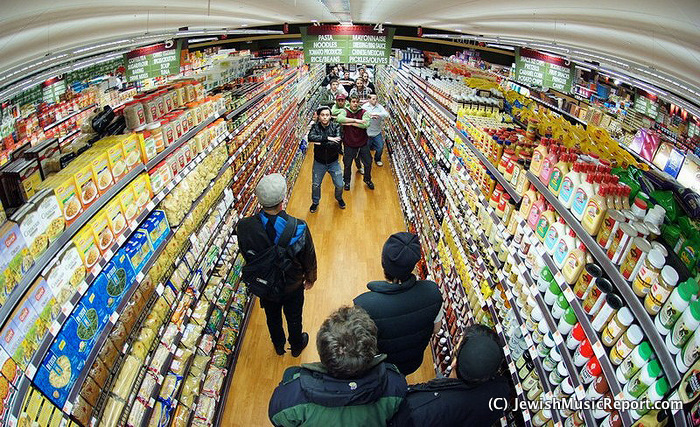 I can see them expanding into any other form of retail and being super successful,” he said. The video was shot on the RED One MX and will be released in the next couple of weeks. The new album which was released one week ago, sold out of its first print within four days of hitting the stores and can be downloaded here.